Skill and compassion go hand in hand when providing exceptional patient care. As your dental professionals, we stay up to date on the latest advancements in dentistry in order to provide the most current treatment options to our patients. As your doctors, we recognize that our patients are unique individuals who have placed a great deal of trust in us and our team. That is just one reason why we value each and every patient relationship. 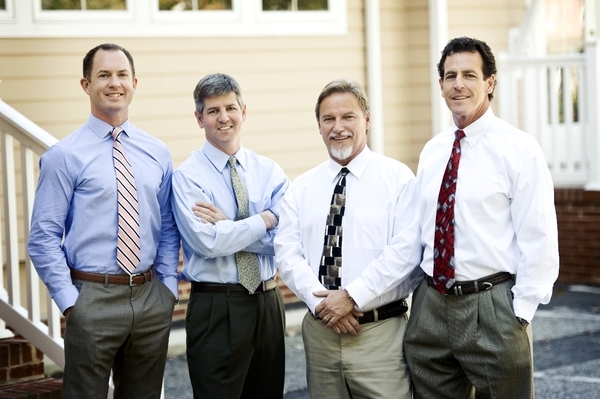 Together, Drs Boxx, Blaney, Lachine and Wendell have over 70 years of experience as dental professionals. 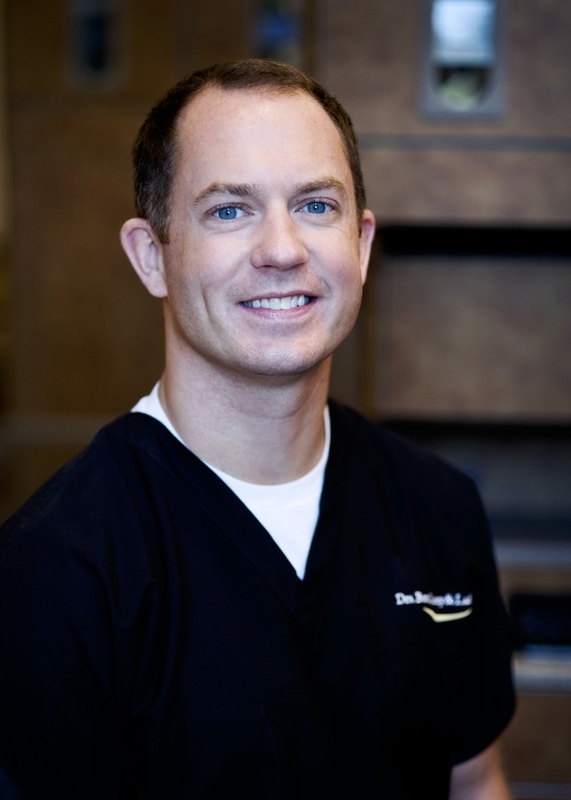 Dr. Eric Boxx is originally from Greenwood, South Carolina. He received his Bachelor of Science in Biology degree from the University of South Carolina in 1977. He then moved to Charleston, South Carolina where he attended the Medical University of South Carolina (MUSC). He graduated from MUSC with a B.S. in Respiratory Therapy, and then went on to complete dental school at MUSC, graduating with a Doctorate in Dental Medicine in 1984. Following dental school, Dr Boxx completed a two-year residency at the University of Virginia Hospital in Charlottesville, Virginia. Dr Boxx excels at all facets of general dentistry, and is one of the few dentists in the region to be Advanced Cardiac Life Support (ACLS) Certified and licensed to perform I.V. Conscious Sedation. Dr Boxx is a member in good standing with the American Dental Association, the Virginia Dental Association and the Peninsula Dental Society. Dr. Blaney attended Clemson University and graduated with a Bachelor of Science in Microbiology degree in 1980. He was a member of the Pre-Medical Honor Society in college as an undergraduate. Following his graduation from Clemson, Dr. Blaney attended the Medical University of South Carolina (MUSC) and obtained a Doctorate of Dental Medicine (DMD) degree in 1984. After graduation from the Medical University of South Carolina, Dr. Blaney completed a post-graduate General Practice residency at Miami Valley Hospital and Good Samaritan Hospital in Dayton, Ohio in 1985. His first years in private practice were in general dentistry as an associate in Alexandria and Springfield, Virginia until 1986. He then moved to Hampton Roads with his family, where he opened their first office in Yorktown. Years later, after Dr. Lachine joined, they opened their second office location in Williamsburg where he and his wife of 35 years currently reside. "...the staff members at both of our offices are here to make each patient feel welcome and comfortable. They have extensive training and experience in the field of dentistry. We have always taken pride in our abilities and strive to provide excellent care for each individual person". 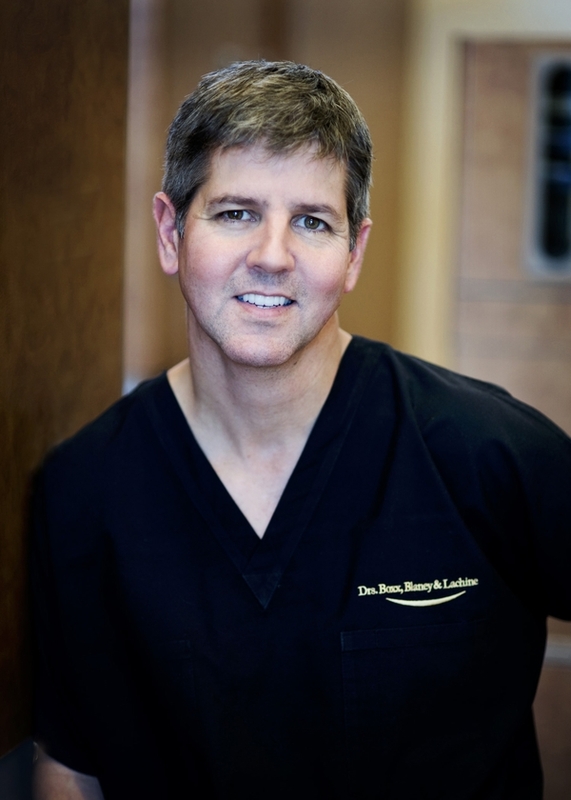 Dr. Blaney excels at all facets of general dentistry, including full-mouth reconstructive and surgical care. Dr. Blaney is also one of the few dentists in the region to be Advanced Cardiac Life Support (ACLS) Certified and licensed to perform I.V. Conscious Sedation. Conscious Sedation Permit by the Department of Health Professions/State of Virginia. Many of his patients have referred their friends and family members after their initial visit which is the primary source of advertising for the practice. He also finds time to volunteer services for those in need at locations like Lackey Free Medical/Dental Clinic, etc. Dr Blaney is currently a member in good standing with the American Dental Association, the Virginia Dental Association and the Peninsula Dental Society. Dr. Richard Lachine, a native of Virginia, was born in Alexandria, Virginia but spent most of his youth in the Shenandoah Valley. After graduating from James Madison University, with a Bachelors in Fine Arts in Design in 1987, Dr. Lachine worked for a number of international architectural design firms in Washington, D.C. and Richmond, Virginia. Once in Richmond, Dr. Lachine (called Josh by most of his friends) attended Dental school at the Medical College of Virginia/VCU where he received his Doctor of Dental Surgery degree, graduating with honors in 1998. Following dental school, Josh did a one-year internship in surgical/reconstructive dentistry in Richmond, Virginia under the supervision of Dr. Baxter Perkinson, a nationally recognized clinician, lecturer and artist. Moving to Williamsburg in 1999, Dr. Lachine joined Drs Blaney and Boxx and was integral in establishing the current Williamsburg office. He currently sees patients in both the Williamsburg, and the Yorktown office. In 2004 Dr. Lachine helped establish the dental clinic at the Lackey Free Family Medical Clinic in Lackey, Virginia and served on its Board of Directors from 2005-2008. He also enjoys using his skills in mission work both locally with the VDA sponsored M.O.M. Projects, and internationally. 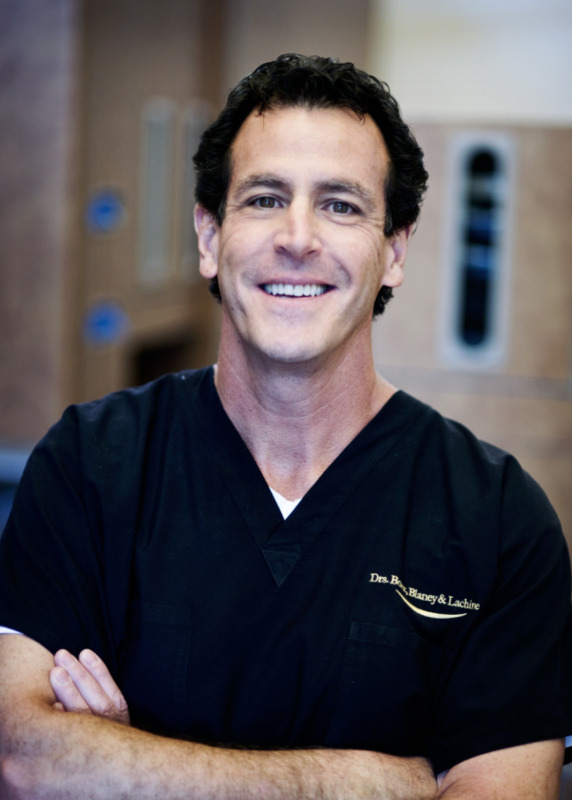 With an eye for cosmetics, Dr. Lachine enjoys cosmetic dentistry, as well as utilizing his reconstructive training in implant dentistry, and complex multi-disciplinany dentistry. Dr. Lachine is a member in good standing with the American Dental Association, the Virginia Dental Association and the Peninsula Dental Society. When he's not in the office Dr. Lachine spends his free time with his wife Cathy and his four wonderful children. He also enjoys kayaking, camping, photography, and working out. Dr. Bryan Wendell is originally from Hampton Roads, having graduated high school from Hampton Roads Academy. He went on to study at James Madison University where he received a Bachelor of Business Administration degree in 2003. 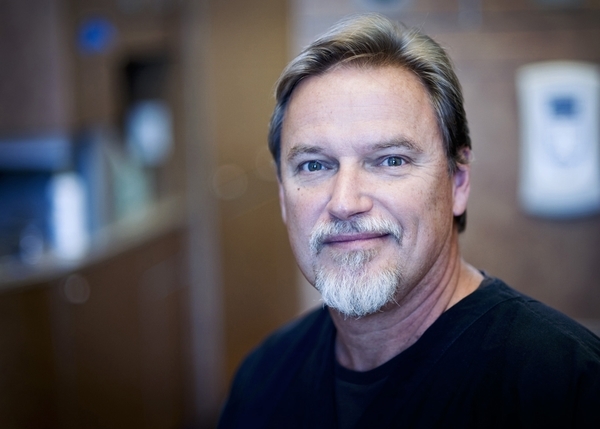 Dr. Wendell continued his education at the University at Buffalo School of Dental Medicine where he earned his Doctor of Dental Surgery degree in 2011. After receiving his degree, Dr. Wendell continued his clinical training at St. Joseph’s Hospital Health Center in Syracuse, NY in a General Practice Residency program. Dr. Wendell is a member in good standing of the American Dental Association, the Virginia Dental Association, and the Peninsula Dental Society. Dr. Wendell also gives his time and skills as a volunteer for the annual Give Kids a Smile Day and has served as a volunteer dentist to various underserved areas both locally and internationally. In his free time, he enjoys working out, running, tennis, golf, and various other outdoor activities. A native of Newport News, VA, Dr. Wendell joined the practice in 2012 and is very happy to be practicing back in his hometown.